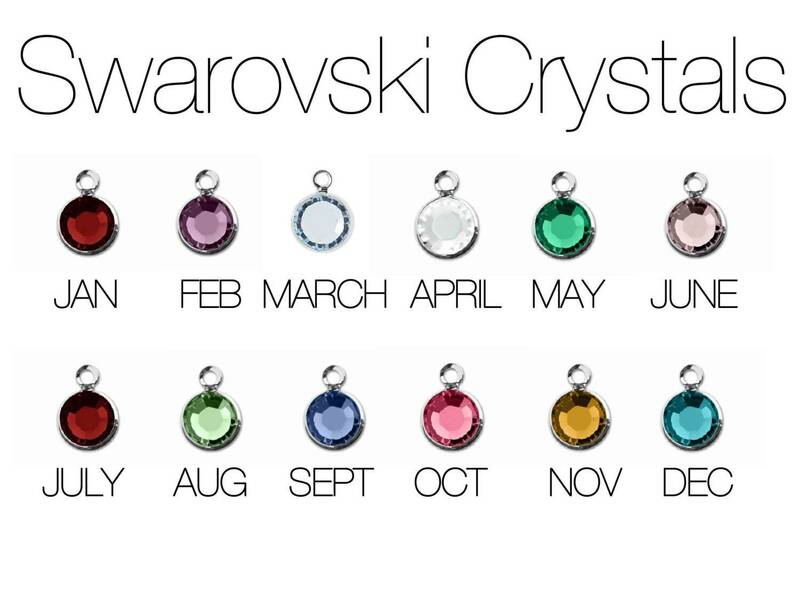 THE BIRTHSTONE RING IS ONE RING. THE NAME RING IS ONE RING. 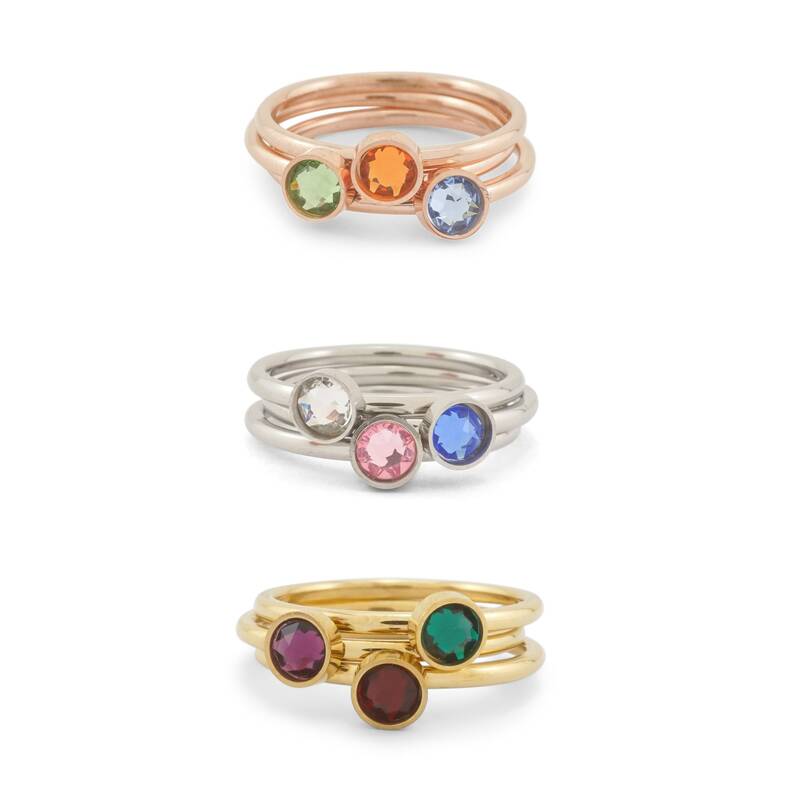 IF YOU WANT A NAME AND BIRTHSTONE RING, YOU MUST ORDER TWO RINGS. 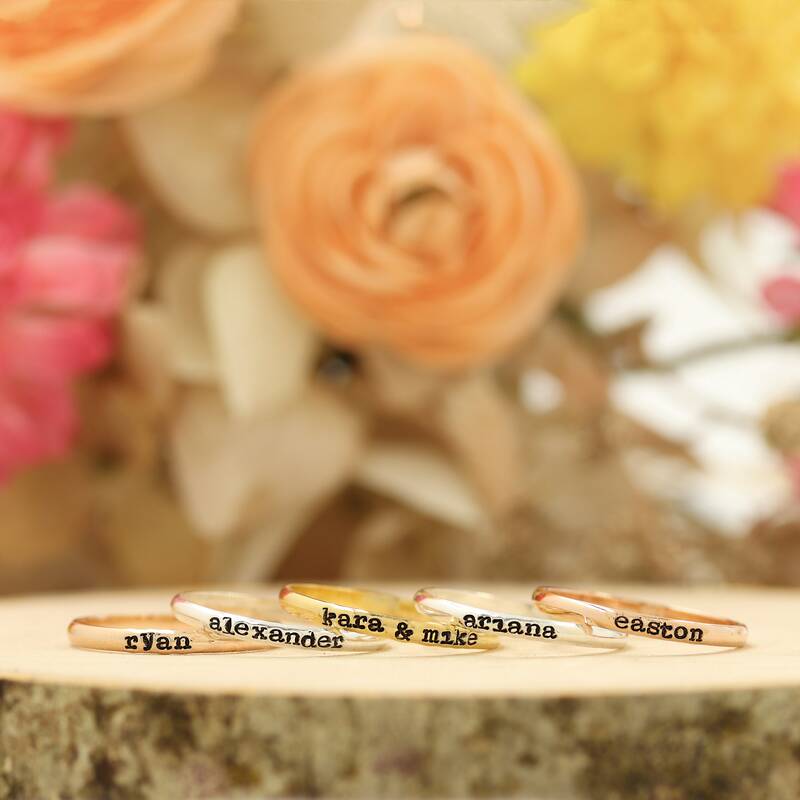 The stamped rings are STERLING SILVER, ROSE GOLD PLATED STERING SILVER AND GOLD PLATED STERLING SILVER. 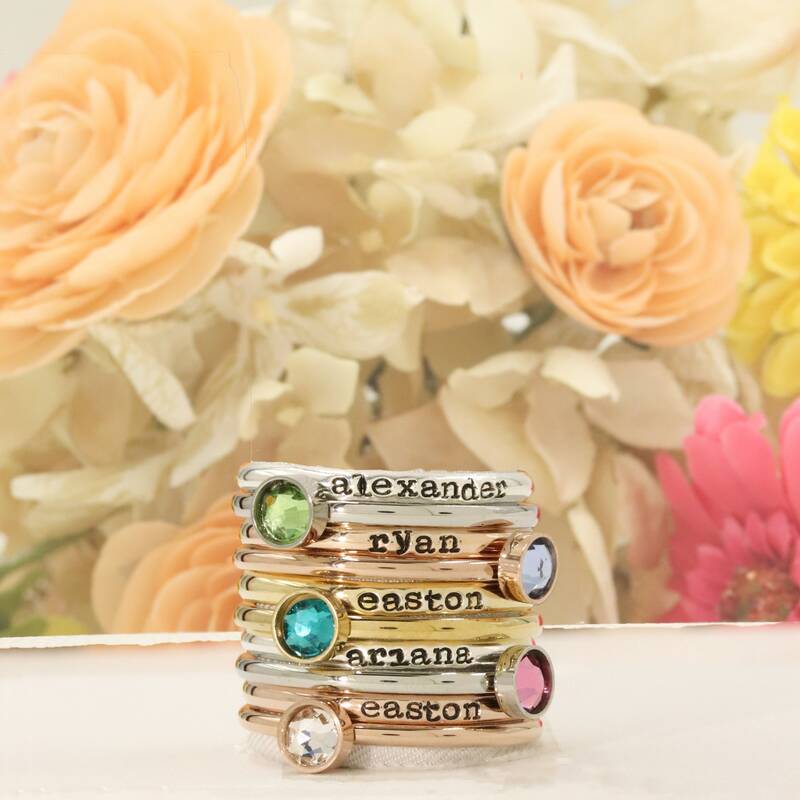 The birthstone rings are STAINLESS STEEL. 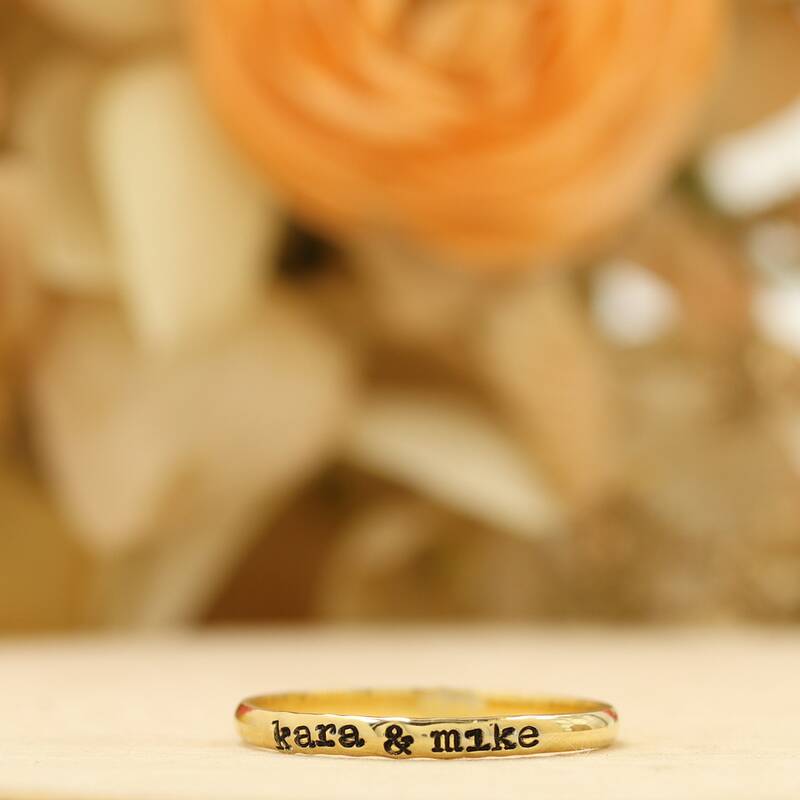 The width of these rings are only 2MM wide, while the stamping is only 1.5MM wide. For a size reference for the stamping, a US penny measures 1.55MM thick, so your letter stamping will only be as tall as the thickness of a penny. 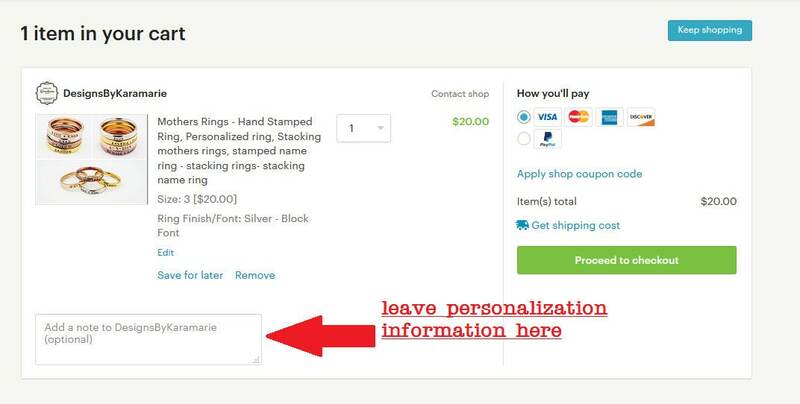 Please keep this in mind when ordering, so that you expect the stamping to be small! Letters will be stamped exactly as you submit, in correlation to uppercase, lowercase, or block font. There are no returns or exchanges for rings that are too small or too large. 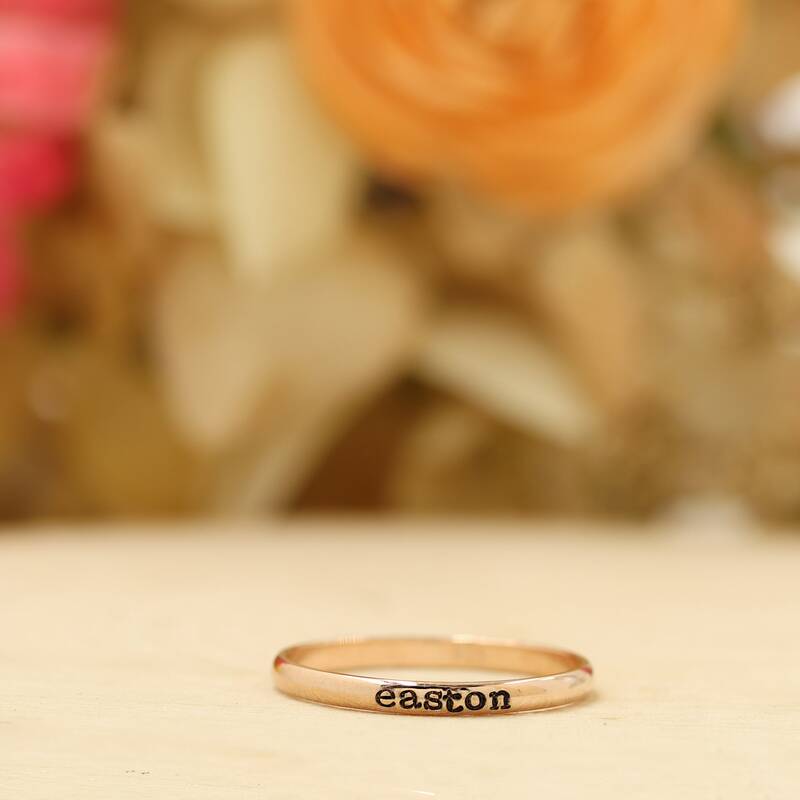 Please check your ring size prior to ordering. I use a standard US ring sizing chart. 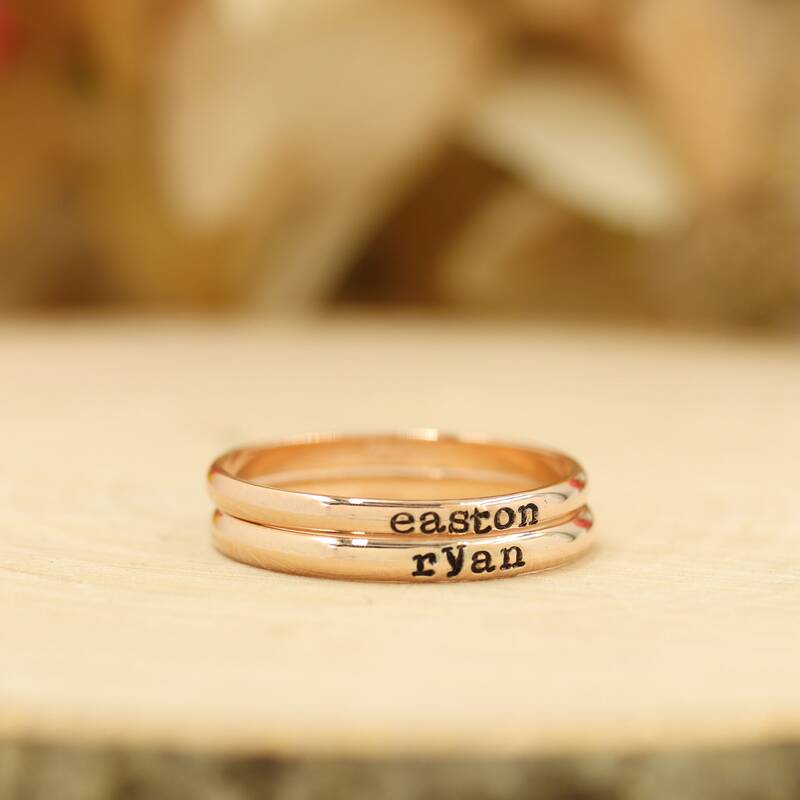 You add EACH individual ring to your cart. You then put the personalization information in the "notes to seller section" and then checkout. Photos are close up pictures to show details.